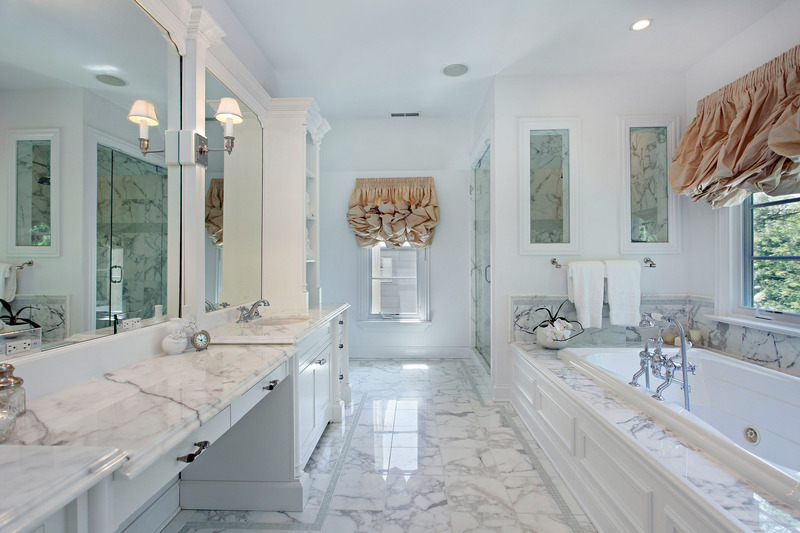 The master bath and kitchen are the two most important rooms in the home when it comes to resale. This is not the place to skimp – do it well. The master bath is part of your master suite retreat – it’s a special place that really needs the “wow” factor. This is where aesthetics and comfort combine to create a haven for private pampering, which is why there are so many options for your tub and shower and many other luxuries. You should reject the notion that you’re the only ones who see the master suite, so you trim your overall budget in this space. The kitchen and the master bath are generally the most important rooms in the entire home when it comes to resale. If these two spaces are exceptional, a house can hold prime value even if other features are not quite as extravagant. Pay special attention here. We all understand the importance of first impressions. What immediately grabs your attention in a master bathroom? 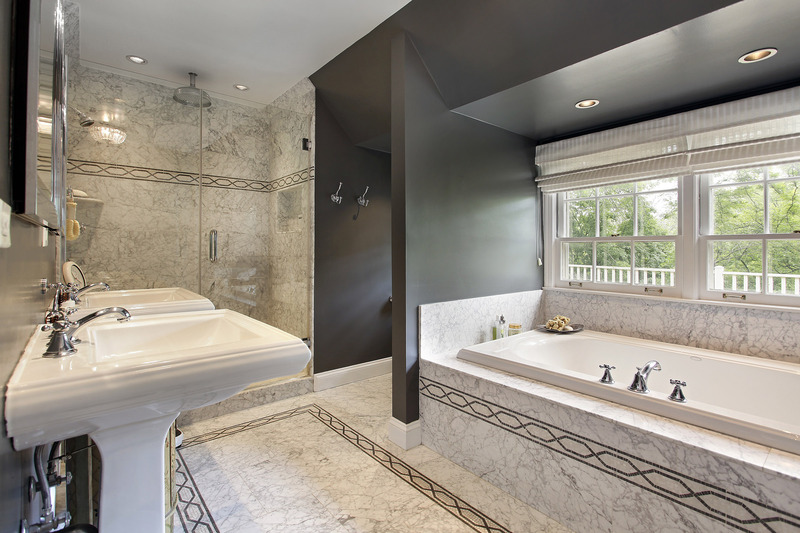 When designing this space, start with great visual lines, which often center on a deep Roman tub. Ideally the tub is placed adjacent to a backdrop wall that could feature a niche for artwork or candles, a large glass pane separating the master shower, or an exterior window with a view of a peaceful garden or waterfall. Roman tubs are available if a variety of sizes and shapes, but bigger is not necessarily better. Tubs six feet or longer may look opulent, but you might end up sliding down instead of leaning back and relaxing, and you’ll have to compensate by sitting upright. Most people don’t think about this problem until the tub is paid for, installed, and filled the first time. If you enjoy soaking, a smaller tub may be more suitable. I personally recommend you visit the showroom and actually sit in a Roman tub before you buy. Also, don’t forget to consider whether the tub is going to be used by one person or two. Some people prefer the therapeutic benefits of a jetted tub. You can enhance this feature with additional focused streams, convenient controls for jet pressure, and handy on/off switches. Sometimes people say they just want to soak and will never use a jetted bathtub, but consider spending the extra money anyway. 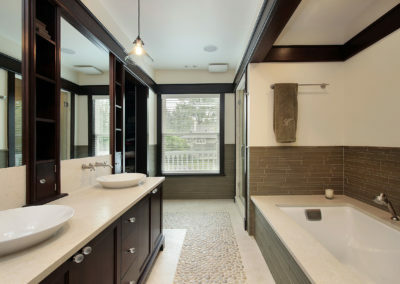 When the time comes to sell your home, a jetted tub might be on a potential buyer’s “must have” list. For only a few hundred dollars more, you can include jets in your Roman tub. There’s a wide variety of faucets and tub filler spouts on the market today, including ones that fill your Roman tub from the ceiling. You can also add an in-line heater system to your tub. If you’ve ever had a nice warm shower turn cold, you’ll appreciate the benefit of a tankless water heater. The small unit heats water instantly as it enters your home to provide limitless supply of hot water. You can enjoy a soothing waterfall while soaking in your Roman tub by adding a fountain wall with soft accent lighting and stone mosaic for a multi-sensory, soothing ambiance. Walk-in showers are a common feature in custom homes. 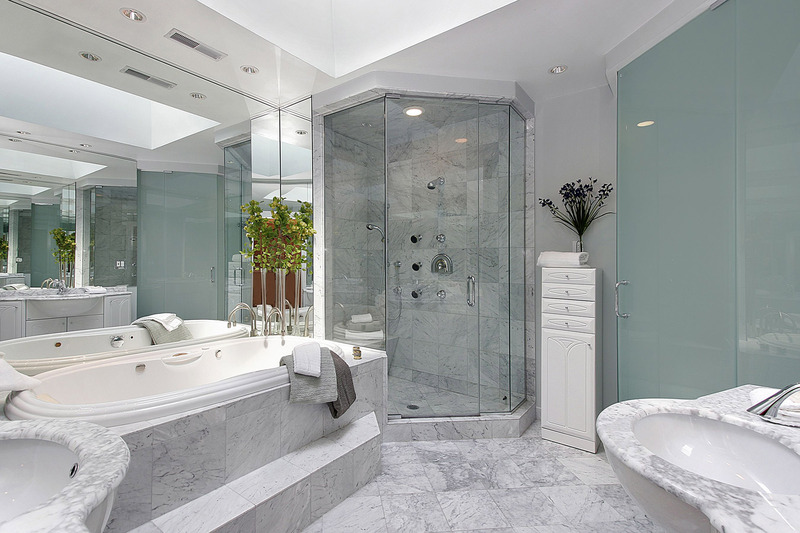 Often called sport showers, they’re popular because there aren’t glass enclosures to clean and maintain. Another upgrade homeowners often request is a shower with full body sprays. Be certain to talk with your builder about having adequate water pressure for this feature. Dual shower heads add another pleasing touch to a master bath, making it possible for two people to shower at once. Also, a handhold sprayer is convenient for rinsing. If you enjoy a sauna, you’ll love a steam shower and it’s relatively inexpensive. A steam shower can provide skin and complexion benefits, and many people find it promotes muscle (and mental) relaxation. There are some requirements your custom home builder and plumber need to address: steam compressor motors must be sized according to your shower space; the shower height should be no more than eight feet, and the ceiling should slope in two directions so hot steam doesn’t collect and drip. Prep work behind tile or stone also needs special attention – mud-set walls and wire lathing protect against mold and mildew. The master bathroom is an opportunity to highlight wonderful stone and tile work that complements the room’s decor. Again, this is the space to go all out, and there are extraordinary possibilities for making the floor and wails absolutely pop. Details, details! 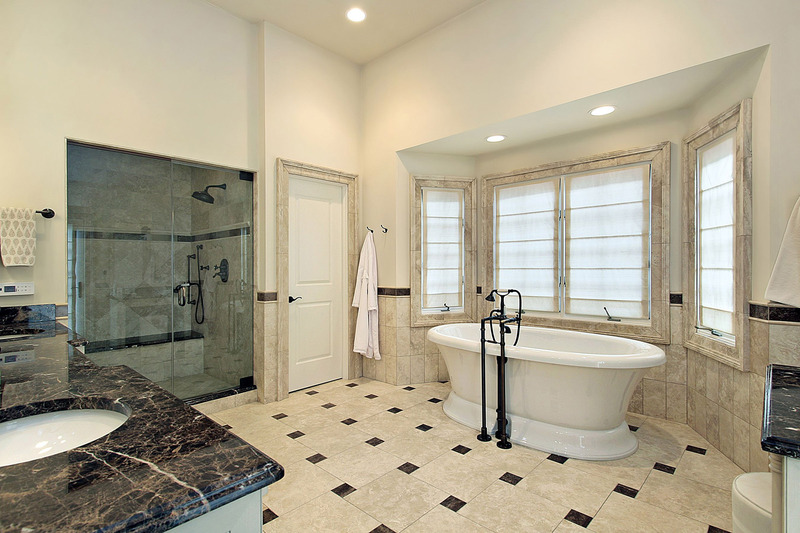 When building custom homes, there are master bath standards that signal quality. A thick shower door, usually 3/8 inch is one of them. You might be surprised that a shower door (or doors) can make a big difference, but the last thing you want to do is compromise a well-designed custom master bath with a cheap, thin shower door. Seating in the shower is becoming a must-have in new custom homes. Ideal for shaving legs or just a moment of meditation, benches also accommodate physical limitations. Optimal height for a shower bench is approximately 16 inches off the floor and depth is usually 8 to 12 inches. Locate the seat as close to the handheld sprayer as possible. Everything in its place – be sure to include a recessed niche for your shampoo, bath gel, etc. If your custom builder uses a liner, it should be carefully sealed to avoid leakage. An appealing upgrade for homeowners, who love sleeping in a cool bedroom but dread a cold bathroom floor, is radiant heat tinder the tile. The floor not only warms your toes, it also gently heats the room. Radiant floor heating has a dedicated thermostat and timer – no more chilly wake-up calls! Ask your homebuilder about this surprisingly affordable option. This feature is a staple in public restrooms because of its sanitation and conservation benefits, and many homeowners are including it in their master bath design. Sensor-activated faucets also work well for young children and people with disabilities or other limitations. Separate vanities provide individual space in a master bath. Typically a 48 inch vanity for him is adequate, while hers should be carefully considered for size, lighting, seating, and electrical needs. 36 inches is a good minimum dimension for her make-up area. Anything less than this and it becomes too tight a space to comfortably use. A 48 inch’ vanity space for her is a good dimension in addition to the three foot makeup area. When it comes to storage, think through the quantity and placement of drawers in your vanities so you have easy access to frequently used items. Ready to get started on your own custom home? 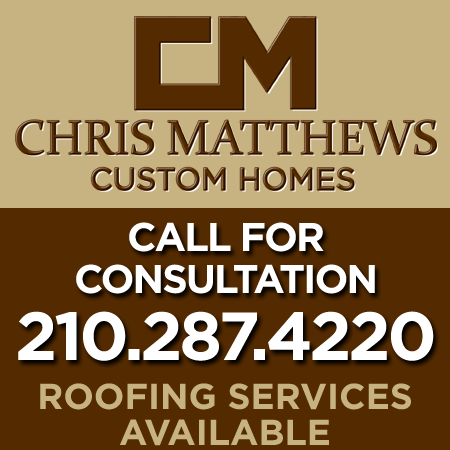 Contact us today to request a free consultation & quote.